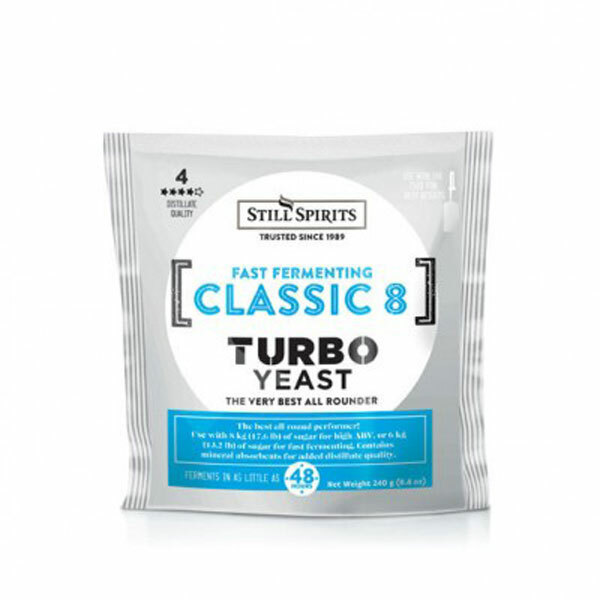 We stock all styles of yeast, Still Spirits Turbo Yeast such as Still Spirits Heat Turbo or Still Spirits Classic 8 yeast. Samuel Willards Turbo Yeast, such as Samuel Willards Alcotec 24hr Yeast or Alcotec 48hr Yeast. 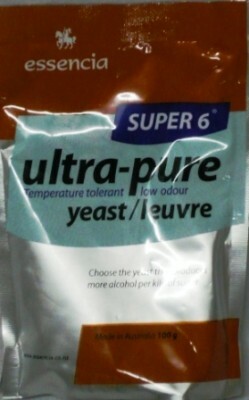 As well as the Ultra Pure Essencia Super 6 Yeast. We also sell Australia’s leading brands of Turbo Clear, such as Still Spirits Turbo Clear or Alcotec Turbo Klar. 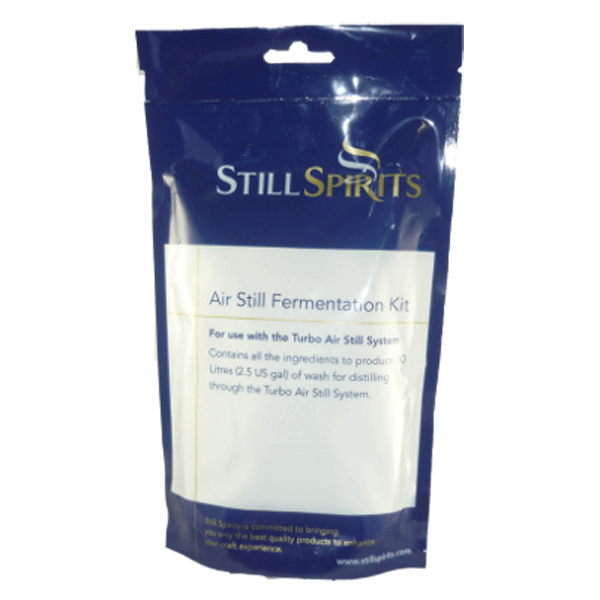 Air Still Fermentation Kit. For Use With The Turbo Air Still System. Contains All The Ingredients To Produce 10 Litres Of Wash For Distilling Through The Turbo Air Still System. High temperature tolerant amylase is for conversion of starch into sugars. Used with Still Spirits Distillers Yeast Vodka & Whisky, If making a wash from grain. Turbo Yeast Classic is the biggest selling Turbo Yeast worldwide and proven as the best all-round performer available! Can use with 6 or 8kg of sugar. Fast Turbo quickest turbo yeast on the planet, fermenting out 6kg of sugar in less than 24 hours and producing a very good distillate! We still recommend fermenting for 5-7 days. Can be used with either 6kg or 8kg of sugar and should be fermented between 20-30 degrees. Ideal Fermentation temperature is between 22-28 degrees for optimum performance and quality. No other yeast preforms as well when the going gets hot! 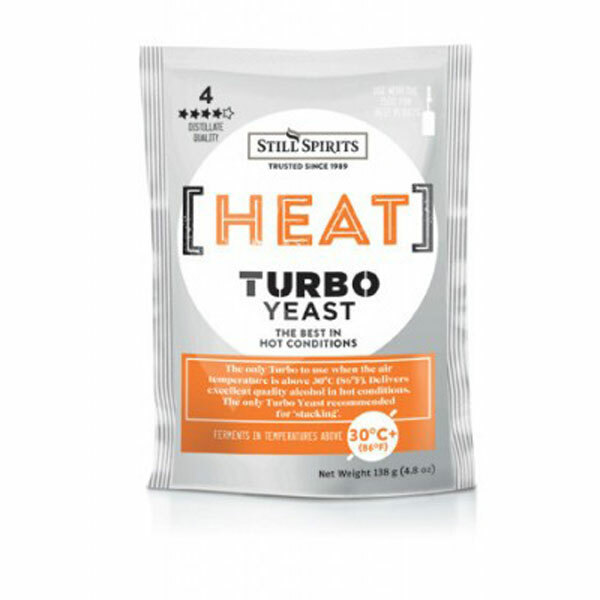 the only turbo yeast to use when the air temperature rises above 30 C. Heat Wave is a very special strain of yeast delivering better quality alcohol in hot conditions. 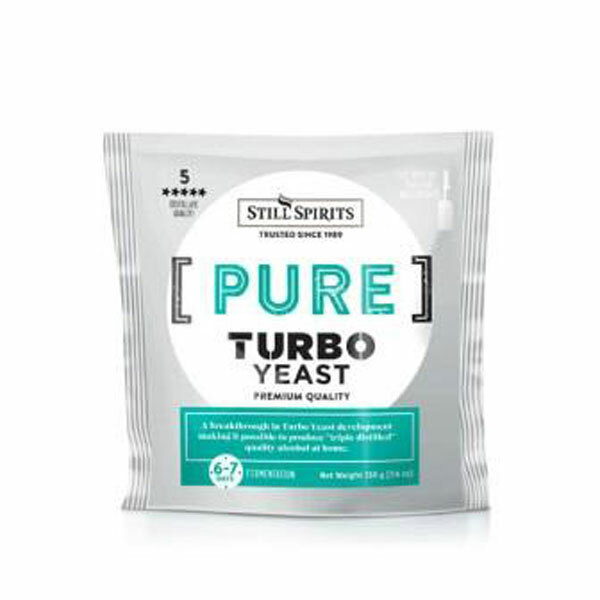 Pure Turbo Yeast represents a revolutionary breakthrough in Turbo Yeast development making it possible to produce “triple distilled” quality alcohol at home. Fermentation time is between 6-7 days. Use with 6 kg of sugar and ferment between 18-24 degrees. Alcotec Rum Turbo Yeast contains both the yeast strain to best promote the fine flavours from your raw materials and the enzyme needed. For the best quality Rum, this yeast should be used to ferment a wash with 2kg molasses and 4.5kg dextrose. This kit is a malt extract to be fermented, distilled and aged using specialist ingredients included in the pack, to create an authentic whisky spirit, like a true craft distiller! Produces a whisky flavour that is sweet & warming, with notes of almond, vanilla and oak. Straw in colour. Smooth, and earthy in character with a lingering note of honey! This pack is designed to make a 25L whisky mash/wash, which can then be distilled using a pot still, to pull through this exquisite whisky flavour! Produces 3.5-4.2L of 40% ABV. Pack contains: 3kg Premium Single Malt Whisky Substrate, 130g Still Spirits Turbo Clear, 72g Whisky Distillers Yeast, 15g American Heavy Toasted Oak Chips, 5g Liquid Silicone Antifoam. Turbo Carbon Is Added With Your Sugar In The Initial Stage Of Making Your Wash. You Then Use A Turbo Clear Clearing Agent, To Help Settle Your Wash Before Distillation! 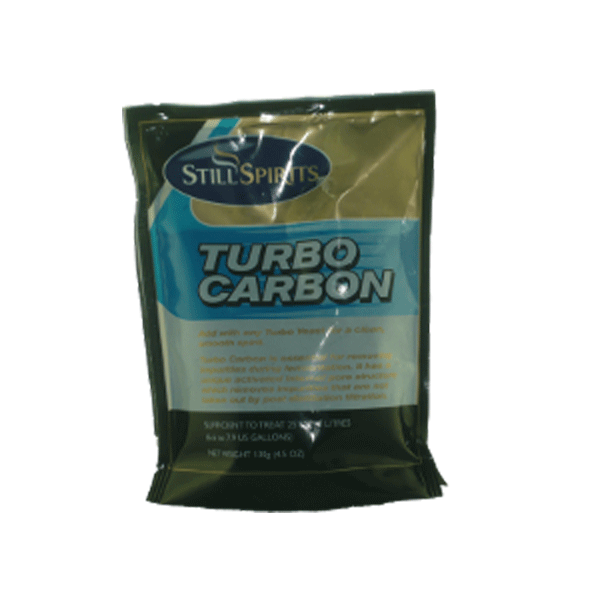 Turbo Carbon Is Essential For Removing Impurities In Your Wash, Its Has A Unique Activated Internal Pore Structure Which Removes Impurities During Fermentation! 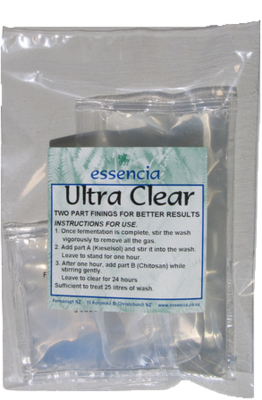 A clearing agent to be used in your wash. Helps to drop all sediments and give a clearer wash, which in turn gives a clearer spirit. A must! A clearing agent to be used in your wash.
A 2 part clearing agent to be used in your wash.
Alcotec Vodka Turbo Yeast is based on a very pure fermenting yeast strain and contains the necessary GA (gluco amylase) enzyme to break down dextrins left from use of grains, rice etc. Can make either a smooth potato vodka or a rich, full-bodied and complex vodka with a distinctive grain character, dependant on your fermentation method. Can be used to ferment a wash in one of three ways. Either 4kg of potatoes, a 4g Amylase Sachet and 4.5kg dextrose, or 4kg of wheat grain or whole wheat flakes, a 4g Amylase Sachet, and 4.5kg of dextrose, or 2kg wheat extract and 4.5kg dextrose. Ideal Fermentation temperature is between 18-22 degrees for optimum performance and quality. The ‘Alpha Amylase Enzyme 4g’ is available on our website under the ‘Yeast & Wash Clearing’ section. Used widely in commercial Whisky, Can be used to ferment a wash with either 2kg unhoped dark malt and 5.5kg dextrose, or 4kg of grain (which ever grain suits your style of whisky), a 4g Amylase Sachet, and 5.5kg of dextrose. This bundle consists of a Yeast, Clearing Agent & Turbo Carbon. Designed with everything you need to make your wash (except for sugar) in the one, easy to purchase pack! Simply mix the desired amount of sugar into your fermenter, add the liquid Turbo Carbon, stir till dissolved. Then stir in your yeast and leave it to ferment. After getting a 0.990 FG reading (or approx 5-10 days fermentation), add your clearing agent to settle the sugars and carbon, then distil the following day! Yeast ferments between 18-35 degrees, to get a higher alcohol wash you MUST ferment between 18-24 degrees. Essencia Super 6 is by far the cleanest yeast on the market! Yeast ferments between 25-35 degrees. This bundle consists of a Yeast, Clearing Agent & Turbo Carbon. Designed with everything you need to make your wash (except for sugar) in the one, easy to purchase pack! Simply mix the desired amount of sugar into your fermenter, add the liquid Turbo Carbon, stir till dissolved. Then stir in your yeast and leave it to ferment. After getting a 0.990 FG reading (or approx 5-10 days fermentation), add your clearing agent to settle the sugars and carbon, then distill the following day! Yeast ferments between 20-40 degrees. Only use where cool air temperature (Yeast Ferments between 18–24°C) can be maintained. Yeast ferments between 16-25 degrees. A high alcohol & temperature tolerant dual function yeast complete with needed nutrients. Yields up to 14% alcohol in just 24 hours. Still best to ferment out for 5-7 days. Yeast used with 6 kg of sugar and ferments between 20-30 degrees. Willards 24hr Yeast is specifically formulated for Australian conditions. Yields up to 14% alcohol in 24 hours, or 20% in 5 days. Still best to ferment out for 5-7 days. Yeast can be used with 6 or 8kg of sugar. Alcotec 48hr is a high alcohol & temperature tolerant dual function yeast complete with needed nutrients. Yields up to 14% alcohol in just 48 hours, or 20% in 5 days. Still best to ferment out for 5-7 days. Note: to reach a 21% alcohol wash, you MUST ferment between 18-24 degrees. Yeast used with 6 kg of sugar ferments between 20-35 degrees. Yeast used with 8 kg of sugar ferments between 20-27 degrees. Willards 48hr Yeast is specifically formulated for Australian conditions. Yields up to 14% alcohol in just 48 hours, or 20% in 5 days.